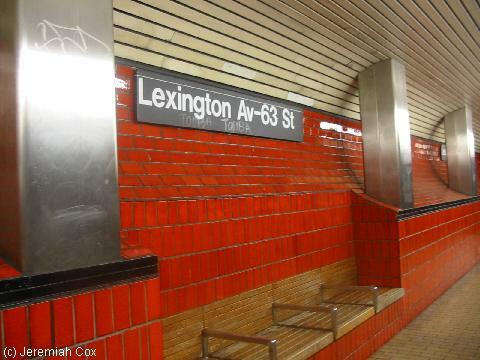 Lexington Avenue-63 Street is the on the new three track 63 Street line and is currently under construction to remove the original orange tiled curved platform walls with little benches along them (its basically all blue plywood now) and reveal the track built in 1989 on the other side that will connect the Q train to the 2nd Avenue Subway. 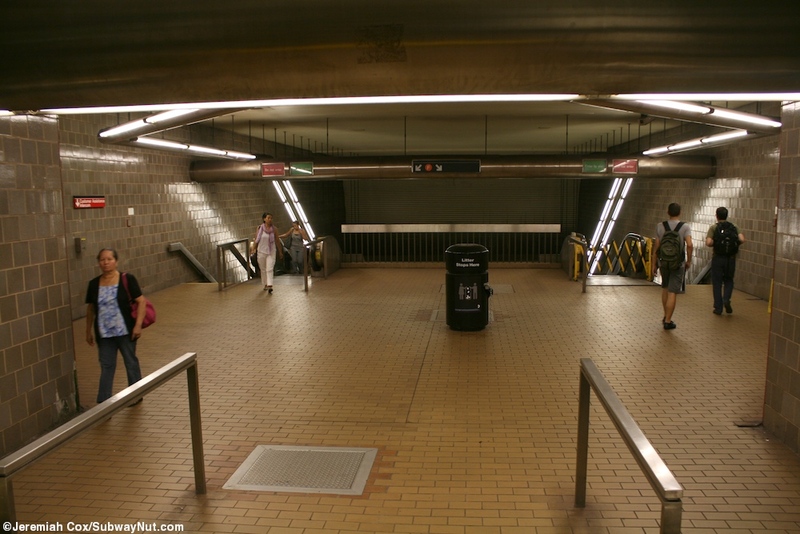 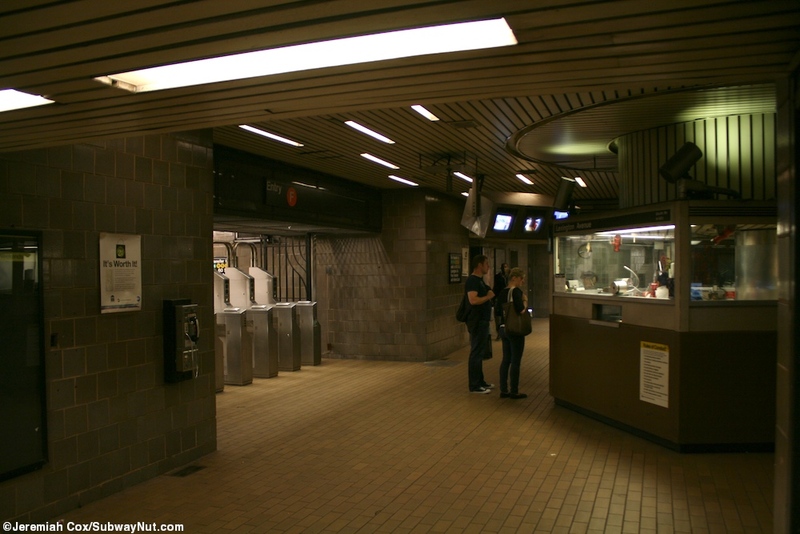 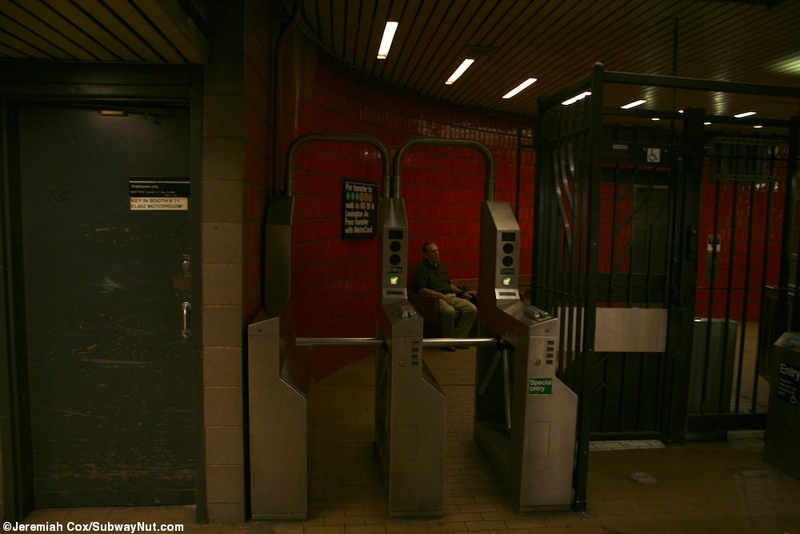 The stop was built in a stacked configuration for this purpose and is quite deep to underpin all of the existing subway lines. 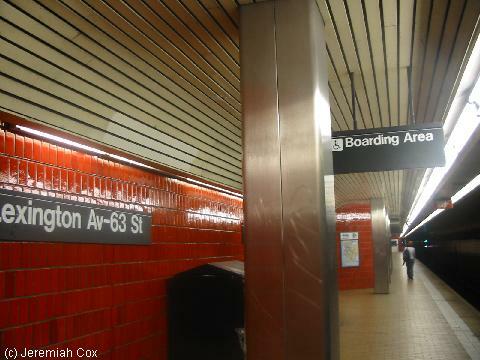 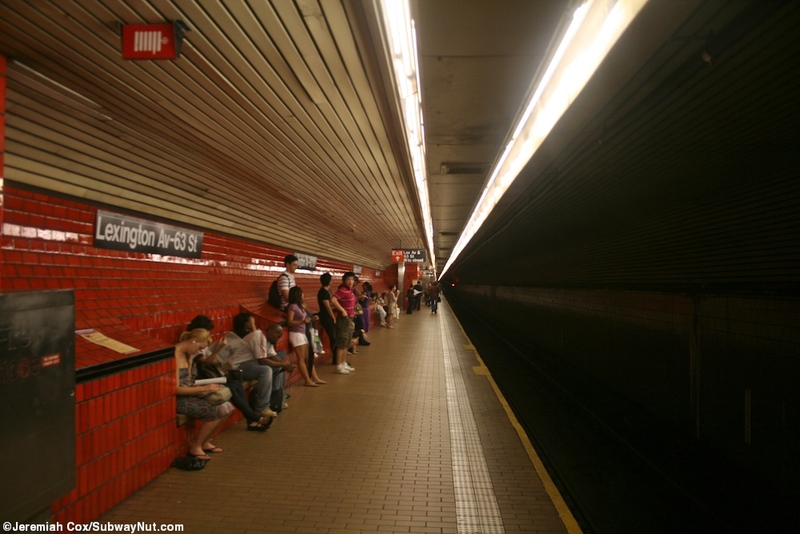 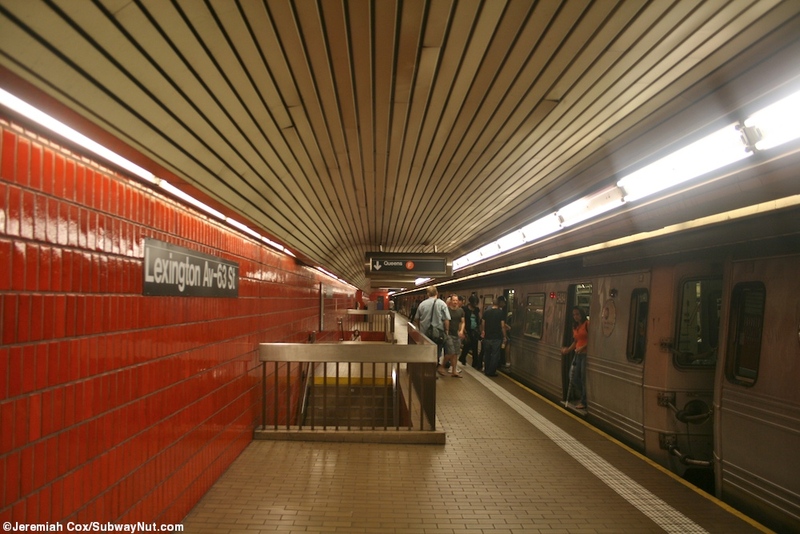 The uptown, Queens-bound platform is beneath the downtown, Manhattan-bound one. 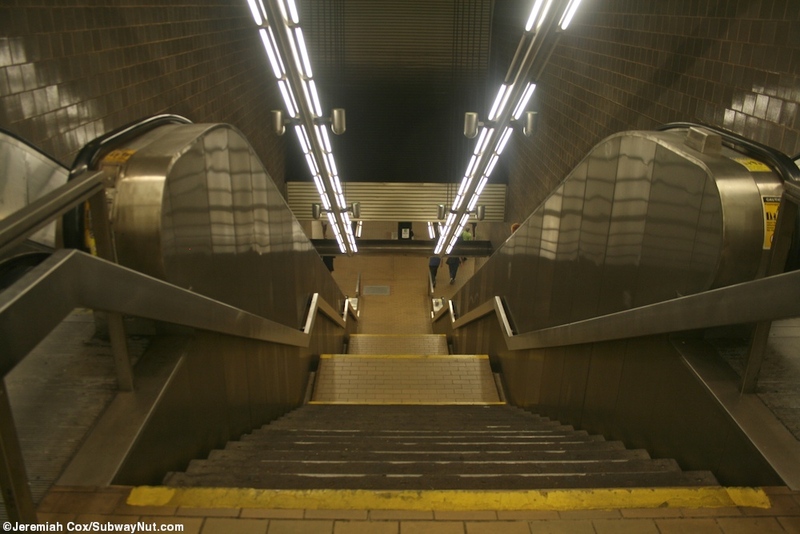 These platforms have two staircases along them by the single elevator (that stops at both) near the center of the platforms that will one day be mainly used by passengers changing to get from the 2 Avenue subway to Queens. 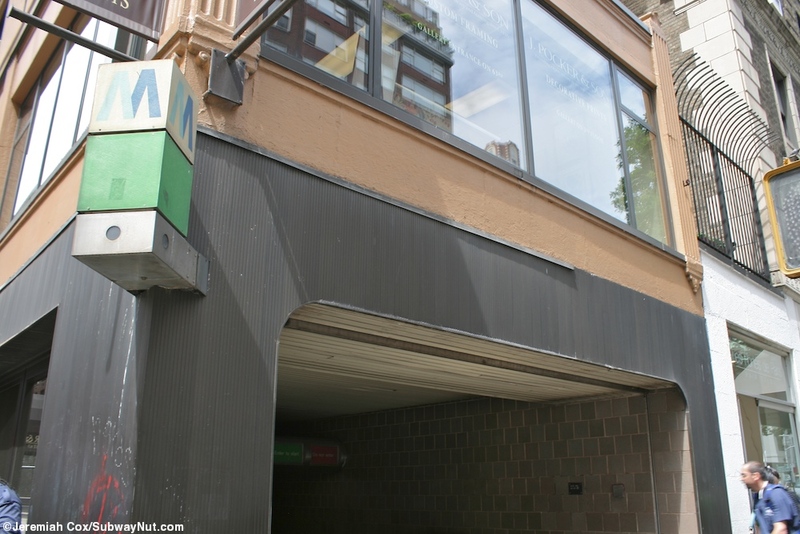 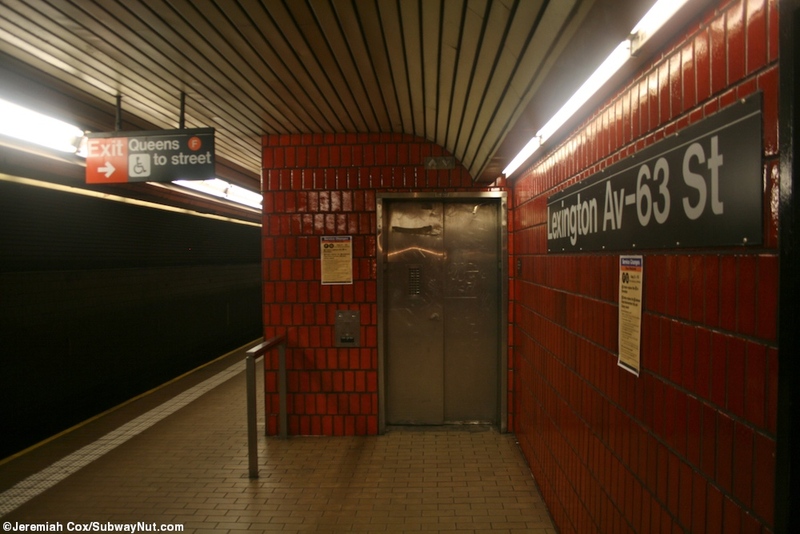 This single elevator leads directly to the small mezzanine area beneath the street. 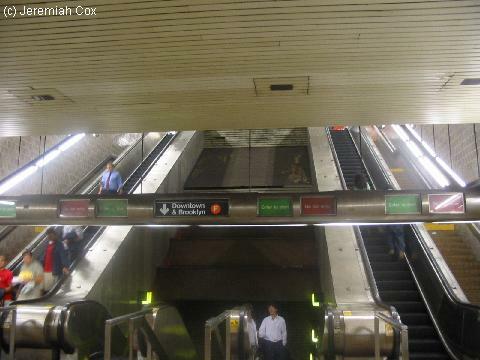 This area can also be reached on a series of escalators that both begin at the extreme railway south (western) end of both platforms, from each a staircase/two escalators shaft leads up to an intermediate landing with the one from the Queens-bound platform significantly longer than that from the downtown one up to the lower intermediate level from here the escalators combine and double back with one plus a staircase on either side of the of those to the downtown platform to the upper intermediate landing where they combine and become two escalators with a staircase between to the upper landing and main mezzanine area. 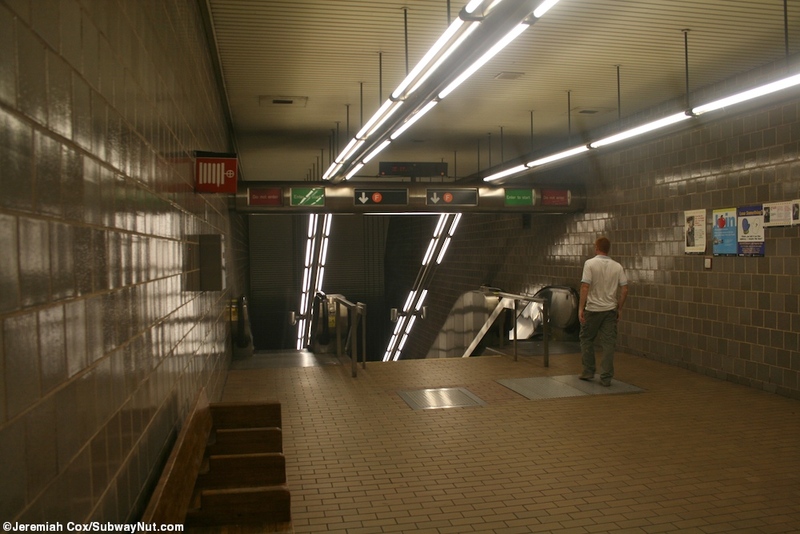 This area has the escalators going straight two the turnstiles where there is another separate bank of turnstiles opposite that serve the single elevator up from the platforms only. 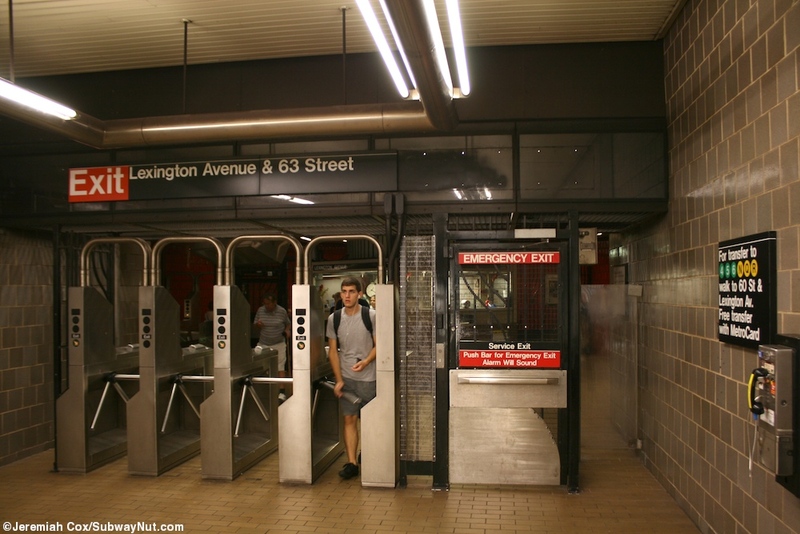 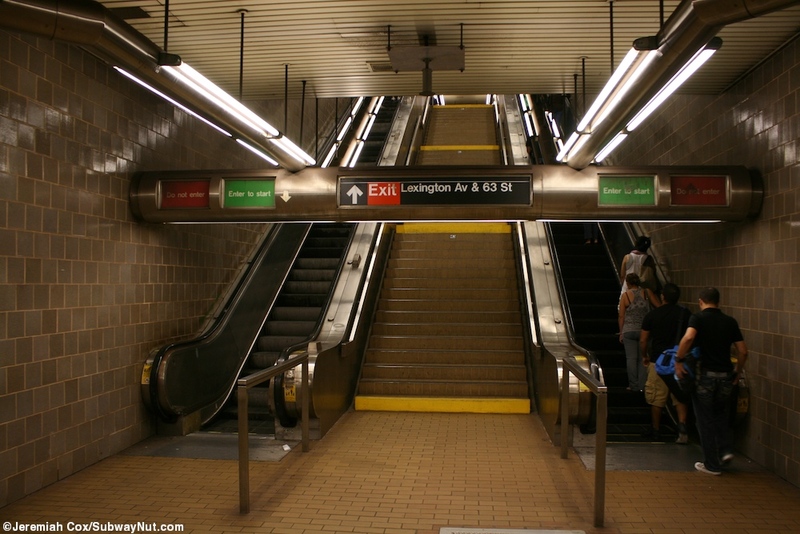 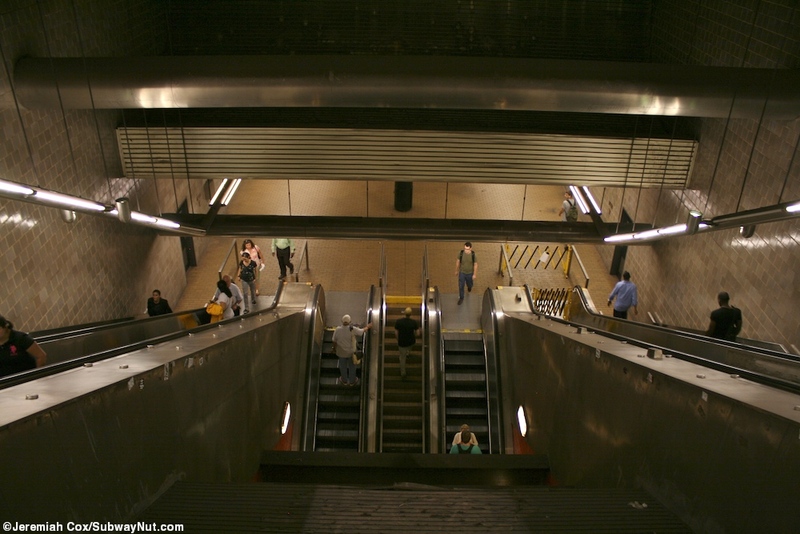 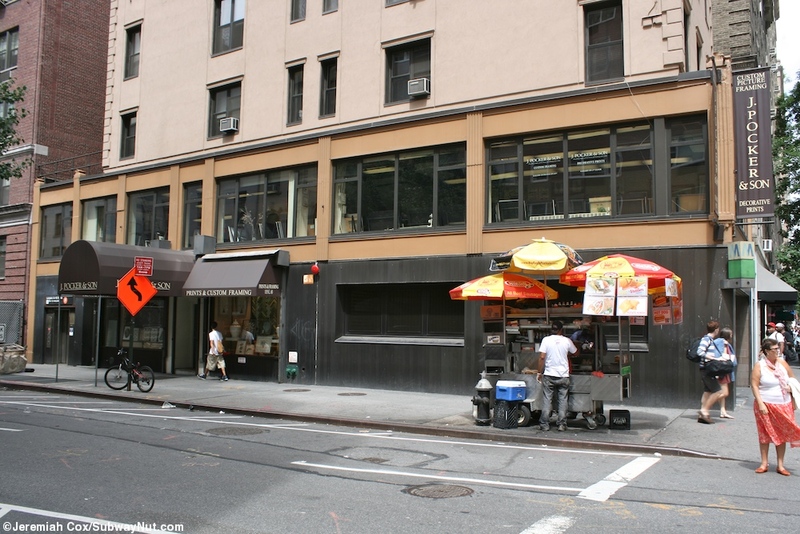 To exit the station two escalators lead up to the NW corner of Lexington Avenue and 63 Street along with the street elevator elevator taking up the entire first story of a building. 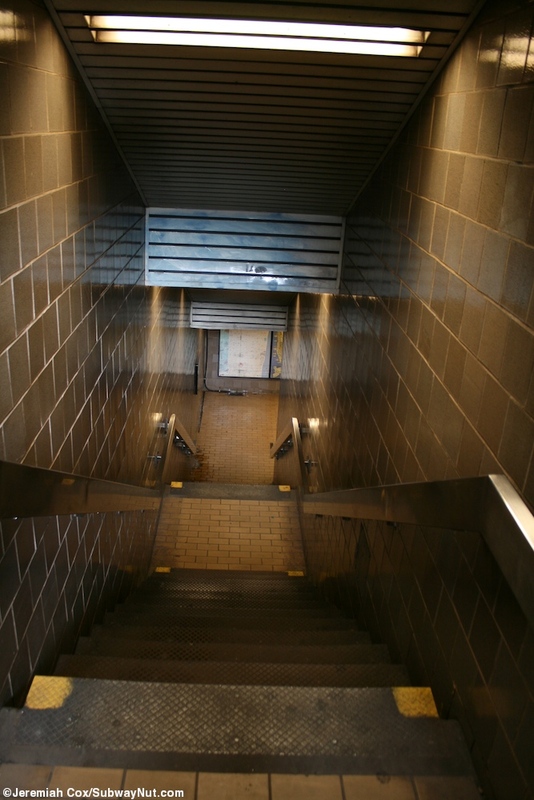 There is also a street staircase with unusual brown cinderblock looking sides (that also are the walls of the three escalator shafts down to the platforms) to the SW corner. 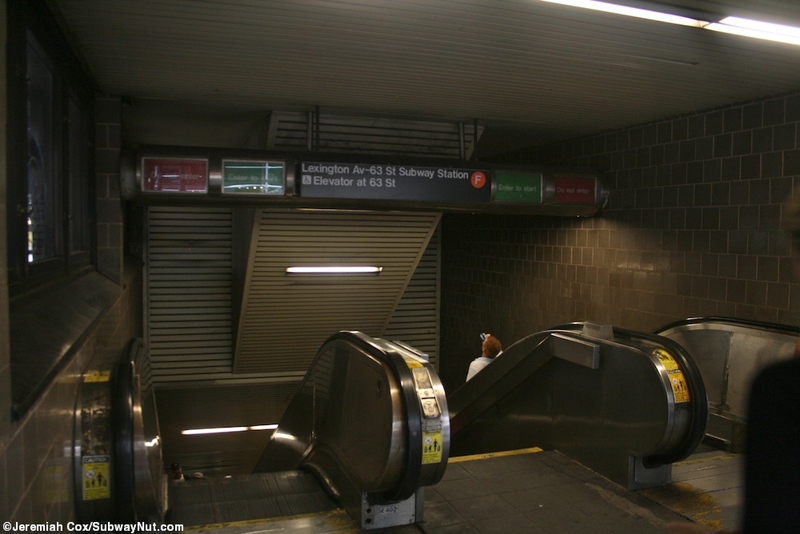 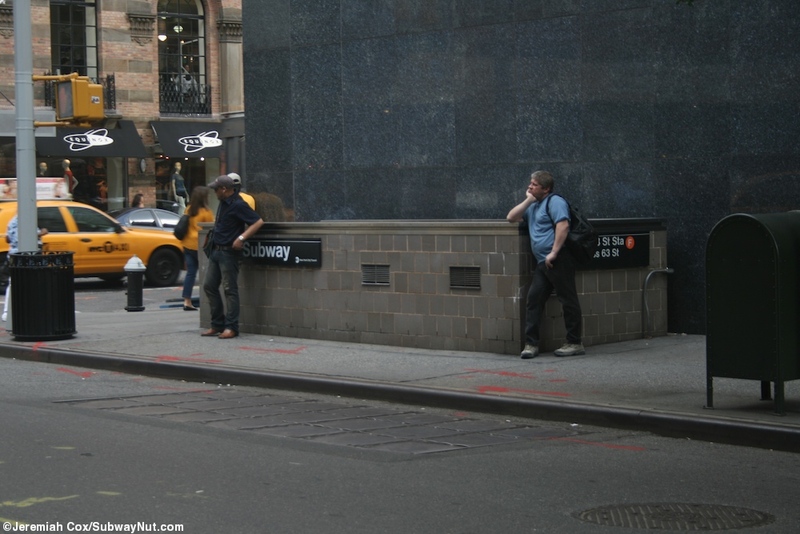 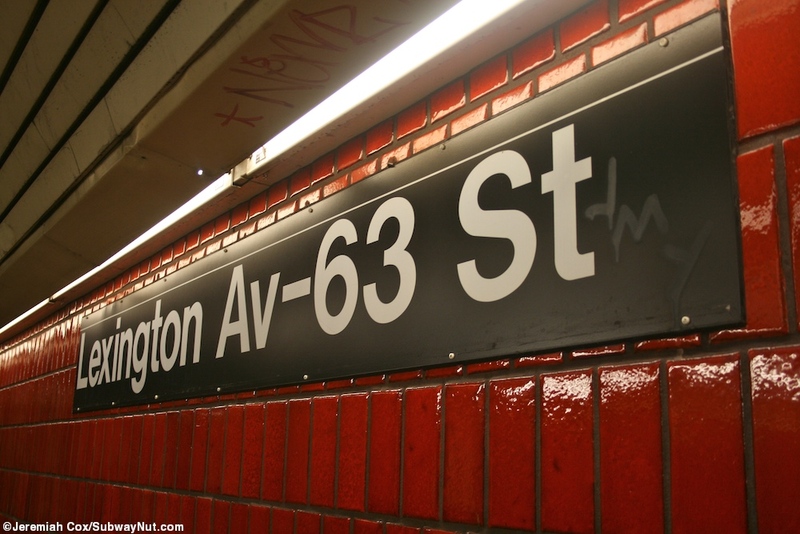 As part of the 2nd Avenue Subway project and additional exit is being built to serve 3 Avenue.